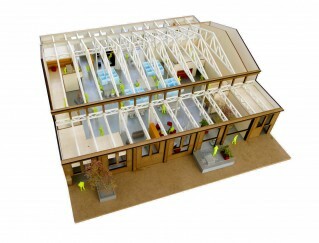 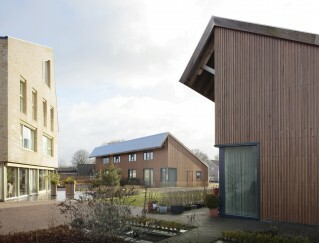 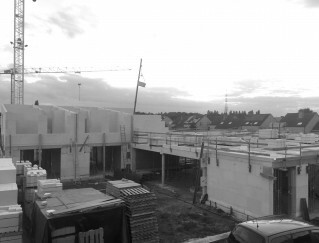 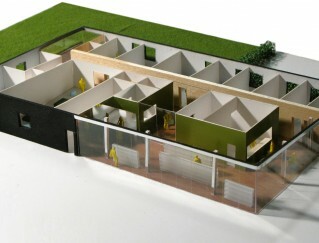 This project for 24 care houses is a part of the urban masterplan for the Brewinc location in the center of Doetinchem. 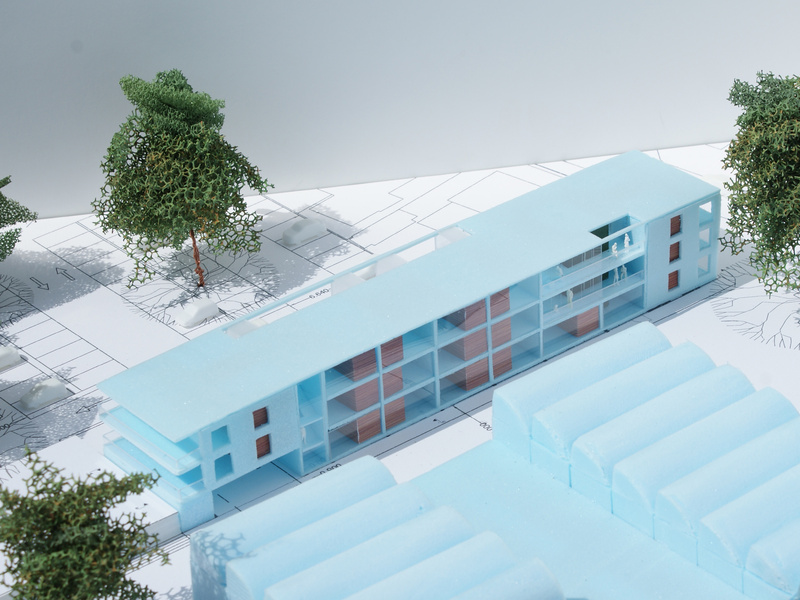 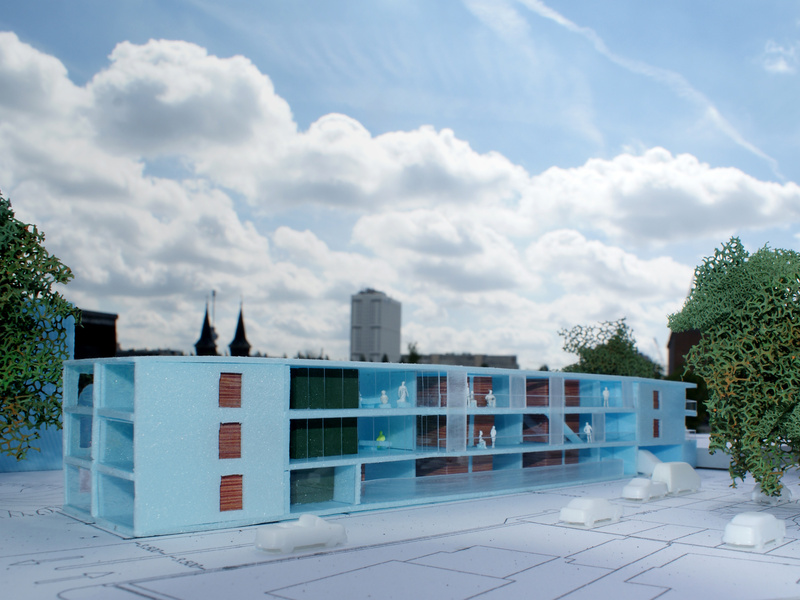 Together with the new library in the old school, the shed houses and the new housing factory, these houses will define the living ensemble around the courtyard in the heart of the city. 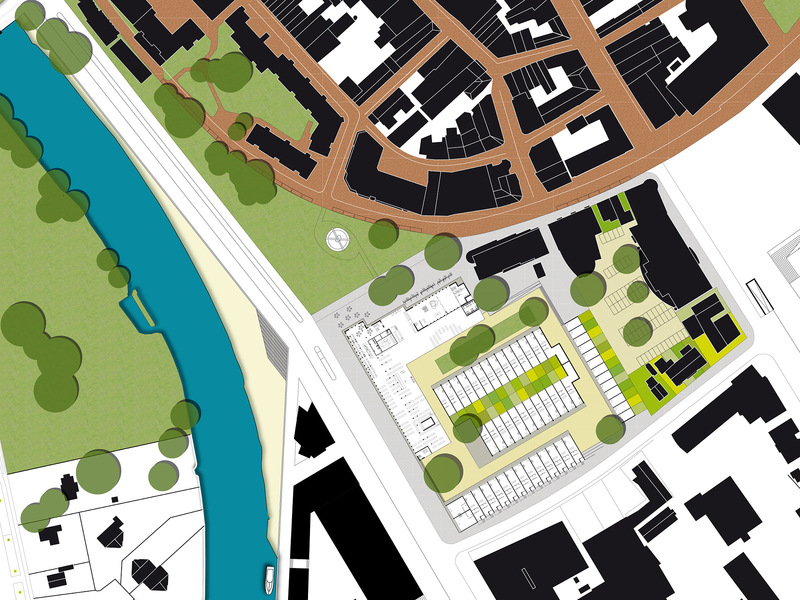 The straightforward building defines the edge of the plan and orients itself on the informal collective space of the courtyard around the shed houses.